Ovarian Cancer Research Fund Alliance is the largest global organization dedicated to fighting ovarian cancer. The Alliance advances research to prevent, treat and defeat ovarian cancer, supports women and their families before, during and beyond diagnosis, and works with all levels of government to ensure ovarian cancer is a priority. As the largest non-government funder of ovarian cancer research, the Alliance invests in innovative, promising research. They are the voice for the ovarian cancer community: fighting for more resources and policies on Capitol Hill, helping future health professionals recognize the disease through their Survivors Teaching Students: Saving Women's Lives® program, providing hope and insight by pairing newly diagnosed patients with our Woman to Woman program and connecting survivors at their Ovarian Cancer National Conference. Founded in 1991, the National Pediatric Cancer Foundation exists to raise money to fund pediatric cancer research. Their mission is to fund research which will lead to the elimination of pediatric cancer worldwide. In addition to funding valuable seed grants throughout the state of Florida, the National Pediatric Cancer Foundation has developed The Sunshine Project. This is an innovative collaboration of the nation's top doctors and researchers with one goal: to fast-track new treatments and increase the survival rate of children battling cancer. Since 2005, the Foundation has implemented the groundwork necessary to introduce less toxic, more targeted drugs into clinical trials. New compounds are currently being tested in these trials and hold great promise for children who have not experienced positive results under the standard treatment protocol. The mission of the Dr. Susan Love Research Foundation is to create a future without breast cancer by focusing on cause and prevention. They are tackling this challenge by being fast, flexible, and project-based. The Foundation identifies needs and determines how these needs can be quickly met, not by emulating existing nonprofit organizations, but by designing a new model specific to the tasks at hand. They are working to find the most effective route to breast cancer eradication, whether it is in the not-for-profit arena, the for-profit arena, or both. They approach problems by collaborating and coordinating with other organizations. And, the Foundation facilitates solutions to be adopted by others. The Lung Cancer Research Foundation is a nonprofit organization focused solely on supporting lung cancer research. Our mission is to improve and save lives by funding groundbreaking research for the prevention, diagnosis, treatment, and cure of lung cancer. Each year, the Bladder Cancer Advocacy Network provides thousands of patients, caregivers and the medical community with the educational resources and support services they need to navigate their bladder cancer journey. The Network works collaboratively with the medical and research professionals who are dedicated to the prevention, diagnosis, and treatment of bladder cancer and empowers the patient community by allowing them to share experiences with others, and to participate in building awareness of the need for a cure. The Lustgarten Foundation for Pancreatic Cancer Research advances the scientific and medical research related to the diagnosis, treatment, cure and prevention of pancreatic cancer by: increasing funding and support of research into the biological mechanisms and clinical strategies related to prevention, diagnosis, and treatment; facilitating and enhancing the dialog among members of the medical and scientific communities; advocating an increase in the annual budget of the National Cancer Institute with emphasis on research related to pancreatic cancer; and heightening the public's awareness of pancreatic cancer diagnosis, treatment, and prevention and providing informational support for pancreatic cancer patients, their families, and friends. 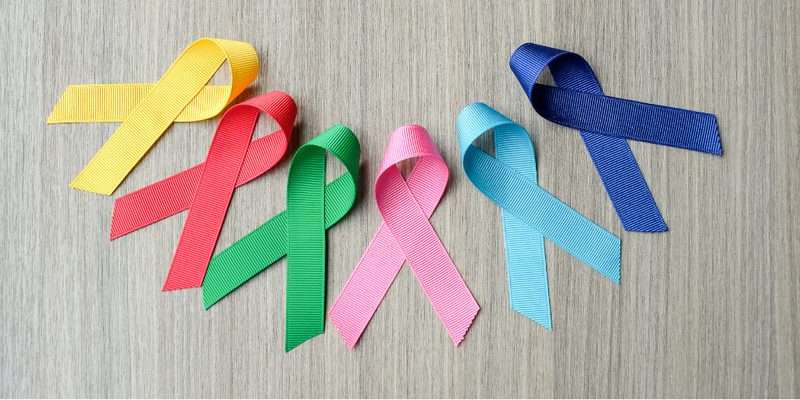 These are just a few of the highly-rated charities working to prevent, diagnosis, and find a cure for cancer. Click here to learn about even more outstanding cancer research organizations. Hmmm. Nary a peep about PROSTRATE Cancer that is killing MEN each tear! Are we not important?